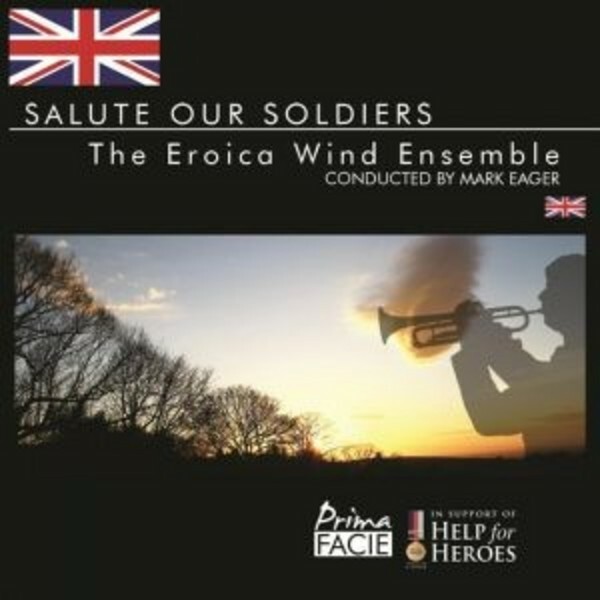 The Eroica Wind Ensemble is formed of musicians currently serving in the Grenadier, Coldstream, Scots, Irish and Welsh Guards Bands, and regularly gives concerts in The Guards� Chapel, Birdcage Walk, London. Sales from the CD will help to raise money for the soldiers' injured colleagues - soldiers helping fellow soldiers away from the battlefield. The idea that music plays a major role in the recovery of injured soldiers has long been documented and Help for Heroes Co-Founder Emma Parry OBE is backing this new project - not only does it provide uplifting music to listen to during recovery, it may even inspires soldiers to take up an instrument. 25% +VAT from the sale price of each product will be contributed to Help for Heroes Trading Limited, which Gift Aids all its taxable profits to Help for Heroes.